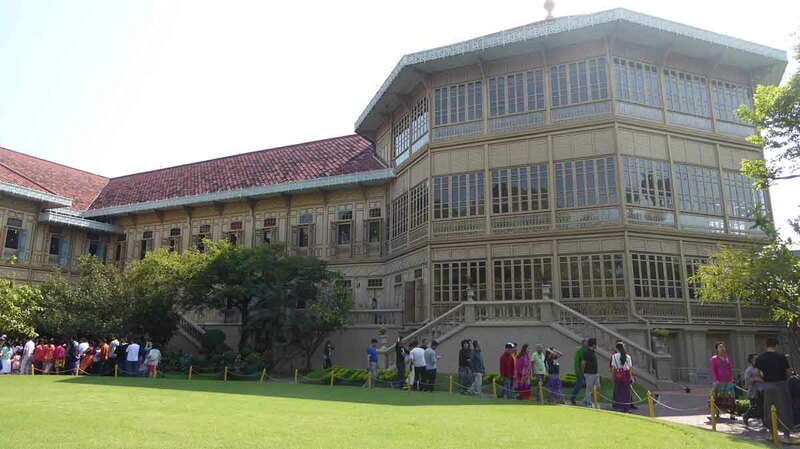 There are over 30 current and former royal palaces in Bangkok. Only a few are open to the public. Some are now museums while most of the others are government offices. Most date back to the late 18th/early 19th century. The design was in a European architectural style. Read on for our features on the ones you can visit. 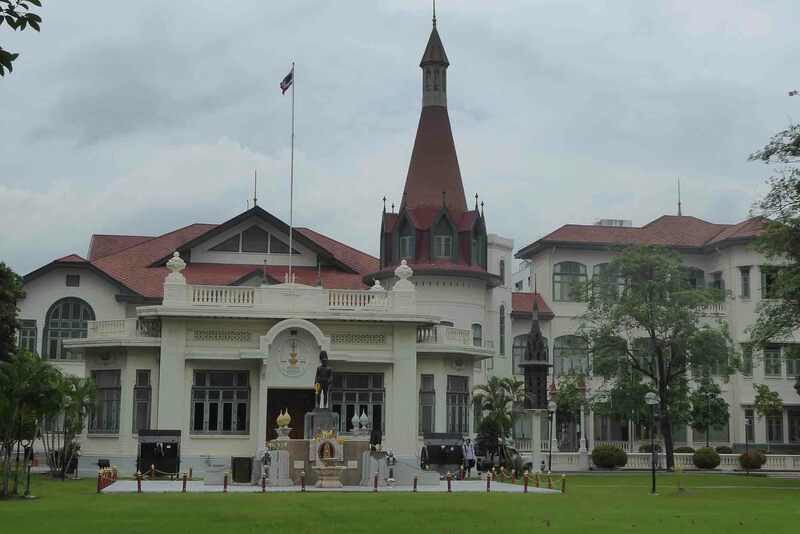 Please note that the Ananta Samakhom Throne Hall and Vimanmek Mansion are both currently closed for renovations. The Ananta Samakhom Throne Hall is part of the Dusit Palace complex at the Royal Plaza. Inside you will find the royal throne and exhibitions of royal treasures. Vimanmek Mansion is a former royal villa that was originally home to King Rama V. It’s located in the royal Dusit Palace complex. It is the world’s largest golden teakwood mansion. Chitraladarahotarn Palace is the official residence of the late King Bhumibol. It is closed to the public. However, you can walk around the outside of the complex and view the Italian designed walls and surrounding moat. 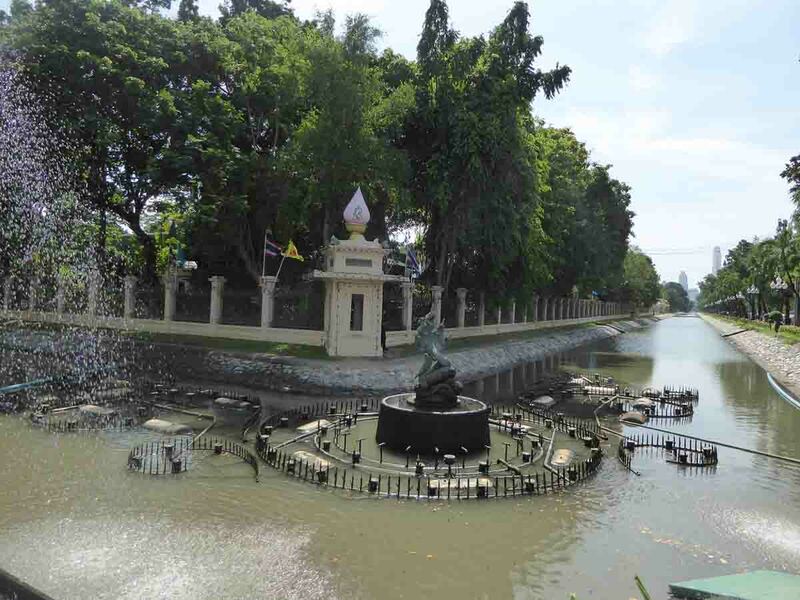 Each corner of the complex has a fountain with statues of baroque figures from Thai mythology. The palace is in the Dusit district on Si Ayutthaya Road. 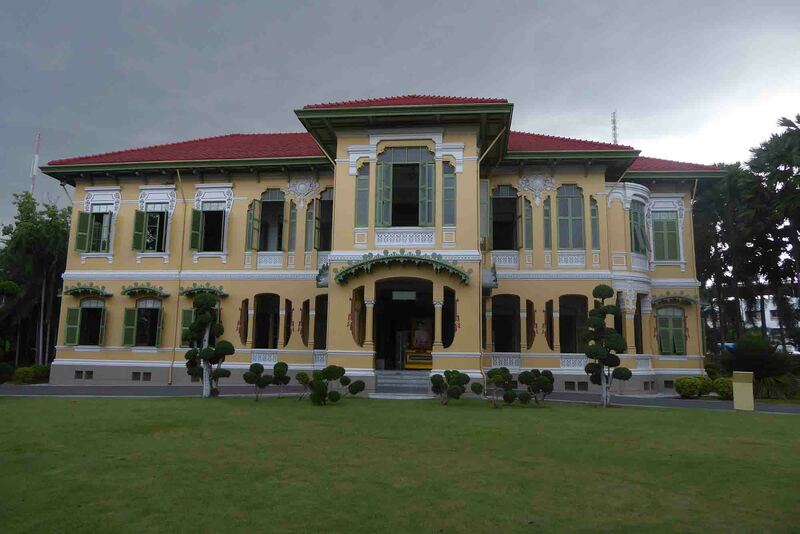 Bangkhunphom Palace, built in 1906 was the residence of Prince Paribatra Sukhumbhand, who was the son of Rama V. It is on Samsen Road on the banks of the Chao Phraya River. 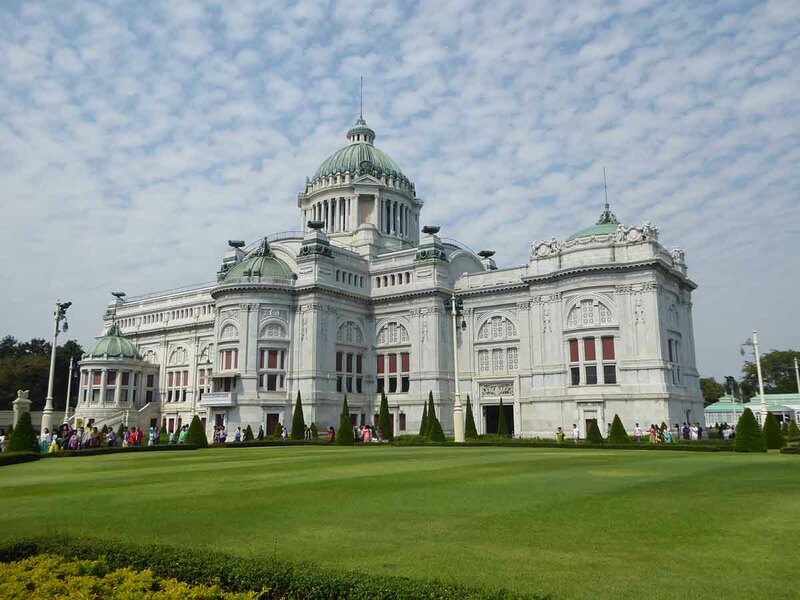 It is one of the most beautiful and elegant palace buildings in Bangkok. The palace is part of the Bank of Thailand. Inside is a museum displaying the history of Thai currency. There is also an exhibition of the history of the house and its former resident. The Parutsakawan Palace is in the grounds of the Metropolitan Police Bureau. It’s on Si Ayutthaya road in the Dusit district. It contains two buildings, Parutsakawan, and Chitralada Villa. The Parutsakawan building is now the headquarters of the National Intelligence Agency (Thai C.I.A.). It is off-limits to the public. Chitralada Villa features beautiful Italian architecture. It is open to the public as a museum. Phaya Thai palace is on Ratchawithi Road near the Victory Monument. It is on the grounds of Phramongkutlao hospital. Built-in 1909 by King Rama V, it was a summer residence when the surrounding area was still farmland.